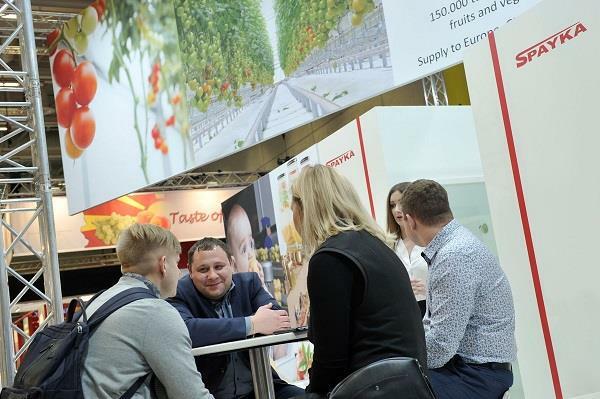 In Hall B / CityCube (B-06), Spayka Group, a company involved in production (105 hectares of greenhouses, 500 hectares of orchards), trading and international transit and whose sales and services operate to Russia, is exhibiting the Gulf countries and Europe. In Armenia Spayka Group operates 105 hectares of high technology for the production of tomatoes, cucumbers and peppers, as well as more than 500 hectares of orchards for the production of apricots, peaches, grapes, plums and cherries . The company's annual commercial volume totals more than 120,000 tonnes of Fresh Fruits & Vegetables from Armenia but also from Georgia, Turkey, Uzbekistan, Iran and other countries. Spayka Group is able to supply products all year long. Spayka Group is the first Armenian company to exhibit at Fruit Logistica.